Nearly everyone in the United States will need the services of a car locksmith near me at some point. If you drive a vehicle, whether a truck, SUV, or car, you are likely to lose your key or have trouble with a lock at one point or another. While you also know that you can call a locksmith to help you, do you know what goes into becoming a locksmith? It is actually a fairly involved process. Having an awareness of what goes into it can help you appreciate the services provided more in the future. And if you’ve been considering becoming a locksmith, this article will help you with that, as well. Required Degree Level: None but completing an apprenticeship or a training program is required. Required Experience: A few months to four years, depending on education chosen. Certification and Licensure: Some states require locksmiths to be licensed, all certifications are completely voluntary. Skills Required: Skill using locksmithing skills, hand-eye coordination, knowledge of lock parts, dexterity, spatial perception, mathematical skills, mechanical ability. Average Salary: Varies by state, but around $40,000 annually. The sort of person that typically chooses to go into a locksmithing career is one who has a desire to help other people. Locksmiths provide services to clients every single day. If you believe that doing that would make you feel fulfilled, it’s a fantastic job prospect. It’s even better if this person doesn’t mind late nights or taking emergency calls, since that is often part of the job for a locksmith. Most locksmiths are also adept at problem solving, enjoy taking things apart and putting them back together, and appreciate a challenge. Locksmiths do a number of different tasks in the average day. They might duplicate some house keys, car keys, and safe keys. They will also help perform maintenance and repairs on different types of lock systems. In addition to that, a locksmith will drive around to different locations in order to help people who have locked themselves out of their homes, offices, or vehicles. In some cases, a locksmith will also take on jobs that involve installing and maintaining security systems and electronic alarms. Locksmiths work in various settings, from locksmith companies to real estate companies, private businesses, security companies, and more. The first thing a potential locksmith will do before beginning training is to do some research on the career. This involves considering the job requirements, the average pay, and the length of training before beginning work as a locksmith. Most locksmiths will work during typical business hours but may be required to do a significant amount of travel to and from job sites. In addition, the starting locksmith may make no more than minimum wage. These are important considerations for a person who is considering the career as a lifetime vocation. In order to become a locksmith, a high school diploma or GED is needed. Some states do not require this, but it is always suggested. The skills and knowledge that come from high school provide your car locksmith near me with the basics needs to begin working toward understanding more advanced mechanical principles which are a huge part of the locksmithing career. This can also give you peace of mind that the person who is working with your locks has a basic education before anything else. There is no requirement to obtain a specialized degree to become a locksmith. However, nearly all locksmiths undergo some sort of formal training. The length of the training experience can range from only a few months all the way up to four years. Many vocational schools, community colleges, and state locksmith associations provide certificate programs that can be completed in two years or less. A locksmith will learn many things during training related to basic locksmithing practices. This includes an understanding of security features and lock mechanisms. The locksmith will also be trained on how to make keys, pick locks, and repair locks that are broken. Those who choose not to go through formal training will have the option of going through an apprenticeship program. However, those who go through proper training and also choose to seek out an apprenticeship will hone their skills the most and have the best chance of gaining employment in the field. While some apprenticeships are paid, others are not. However, you will get hands-on experience with every aspect of locksmith business. This includes the technical work as well as the administrative tasks required. Those who are considering an apprenticeship should ensure that the mentor you choose has a professional certificate or is licensed by the state as a locksmith. This provides a testament to the skill and credibility of the person who is teaching you. Not every state requires a license to begin practicing as an independent locksmith, but many do. If this is the case, you will need to go through the process. Even in states where licensing isn’t required, it is a good idea to go through whatever process you can to prove your reliability and knowledge. The average license requires a locksmith to submit an application, file their fingerprints with the federal and state government, and pass a background check. There may be other requirements depending on your exact location. If you aren’t required to get a license, many locksmiths choose to do the work to get professionally certified. This is an option step and not every locksmith will do it. However, the ones who do are often some of the best in terms of the car locksmith near me. The Associated Locksmiths of America is the most common association offering certification and they have more than one option. You can be certified as a registered locksmith, certified registered locksmith, certified professional locksmith, or a certified master locksmith. These go in order and you must pass one level before moving on to the next. Locksmiths who have these credentials must have passed an exam with at least a 70%. There are also certifications available through the Safe and Vault Technicians Association. These include certified professional safetech and certified master safetech. At this point, a locksmith will likely work to get hired by a company that provides lock and key services. Depending on your location, it may be required to work at an established company for a term of at least a year in order to be licensed as a professional. Some of the places a beginning locksmith might apply include department stores, locksmith companies, hardware stores, or security equipment manufacturers. If the company offers key cutting, at the very least, this is an option or getting some experience before moving on to bigger and better things. While you may find a job at a local locksmith, these are often small and hiring less often. Going with a larger national company can be easier, but it may also require working at all times of the day and night. Even after a locksmith has gone through training and education, most of the knowledge comes from actual work experience. Your coworkers, employers, and peers will all have a part in teaching a locksmith more about the career they have chosen. There is no end to the education process in this field. It doesn’t matter if you’ve been a locksmith for a few months or for decades. New technologies pop up all the time and a great locksmith has to know about these things. Laws also change which can mean adapting services to fit. This is an ever-changing industry and a locksmith is someone who is expected to change with the times. You never know when a learning experience will pop up and being proactive and using it to become a better locksmith is essential in this field. A car locksmith near me doesn’t have to take part in continuing education but if they are passionate about their job, they are likely to do so anyway. As technology changes and industry adapts, being aware of those changes is important to keep up and provide the services people need. Some of the ways to do this include watching for news about locksmithing, making time to check for continuing education offers by locksmith associations and other companies. While continuing education is useful for anyone, it’s especially useful for someone who is specializing in a specific type of locksmithing, such as vehicles or security systems. A fantastic way for locksmiths to get access to networking and other benefits is through joining one of the professional organizations available on national and state levels. The networking opportunities on their own are worth gaining admission, but that often isn’t the only perk. Some of the available organizations also offers insurance, advanced certification and education, and even legal representation. Two of the major organizations that locksmiths choose to join are SAVTA and ALOA. As new locksmiths gain knowledge and education as well as experience, many of them choose to specialize. The most significant reason for this is because the locksmith field is extremely competitive. Specializing can help a locksmith stand out and give them an edge over locksmiths who do a little bit of everything. In most cases, those who choose this option will be required to undergo additional training. Some of the options available include automotive, forensics, and security. Some locksmiths, after lots of experience, education, and training will decide to move away from an established business to open their own. This adds a whole additional skill set for the locksmith who chooses the path. Of course, this is not required, and many locksmiths are completely comfortable working as an employee for their entire career. Those who choose this option will need to learn about managing finances, running a business, advertising, and more. This may require even more education to do properly. You may have been under the impression that a locksmith just needs a few tools and knowledge of how to open locks, but you can see this is not the case. 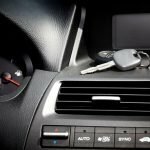 Becoming a car locksmith near me is something that requires a lot of hard work, a large dose of time, and a number of important skills. The person who helps you unlock your car door, replace your locks, or repair a broken component is someone who has put a lot of work into providing you an important service. If you’re reading this to better understand that the locksmithing profession is like, this article should provide all the information you need. As you can see, it takes time and effort, but it is a career that can be extremely fulfilling and satisfying. When all is said and done, it is a career that is great for some people but may not fit for others. Do your research, decide if it is for you, and then don’t be afraid to jump in. It might be the change you need in your life.